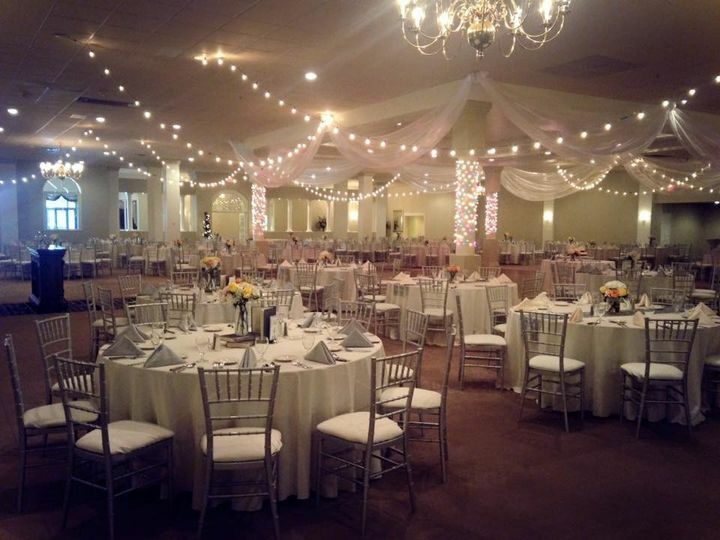 Parkway Place is a venue located in Maumee, Ohio, that serves the Toledo region. 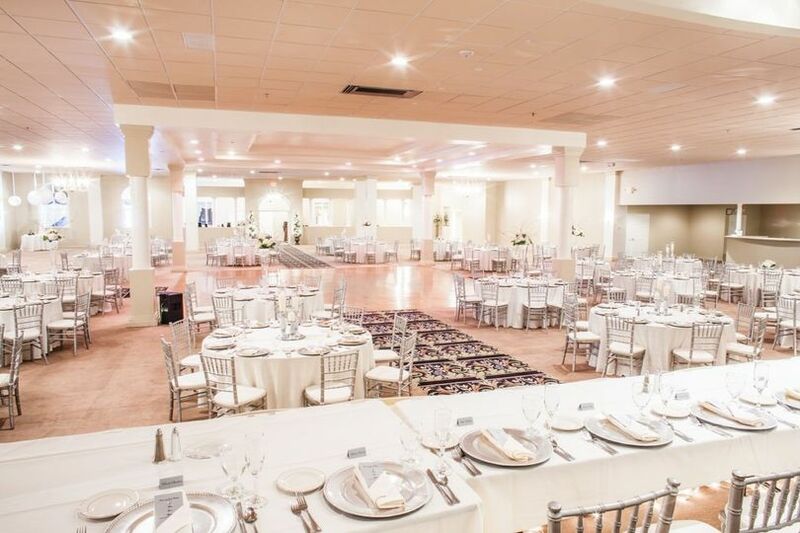 This catering and event center is a spacious, elegant banquet hall for couples who want a classic yet modernized space to hold their wedding events. Couples and guests will appreciate the large, open area that allows both room to move and privacy. You will truly enjoy such a lovely venue for a special day to remember. 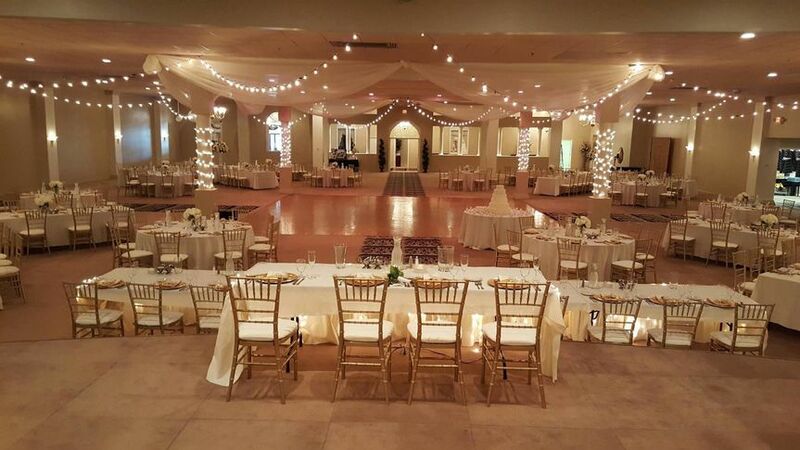 Couples may host up to 700 guests for their ceremonies, receptions, engagement parties, and rehearsal dinners. 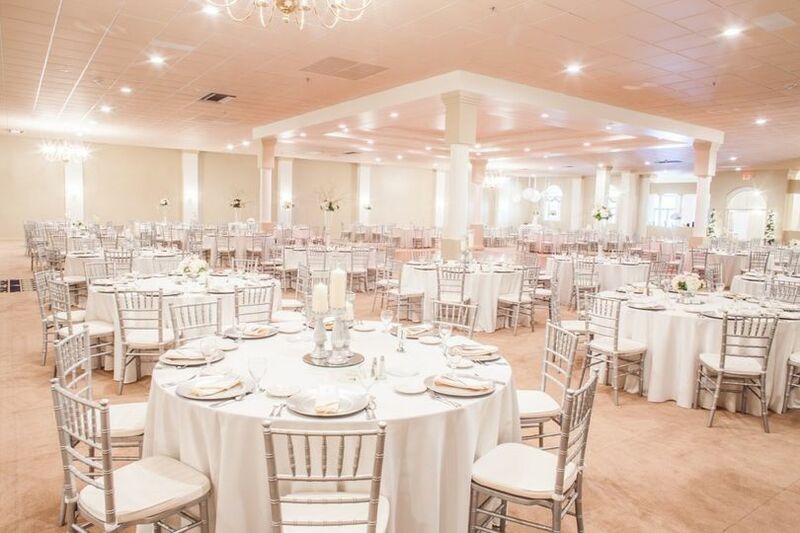 Such a large, wide-open venue is perfect for inviting all of your friends and family for an exciting special day. 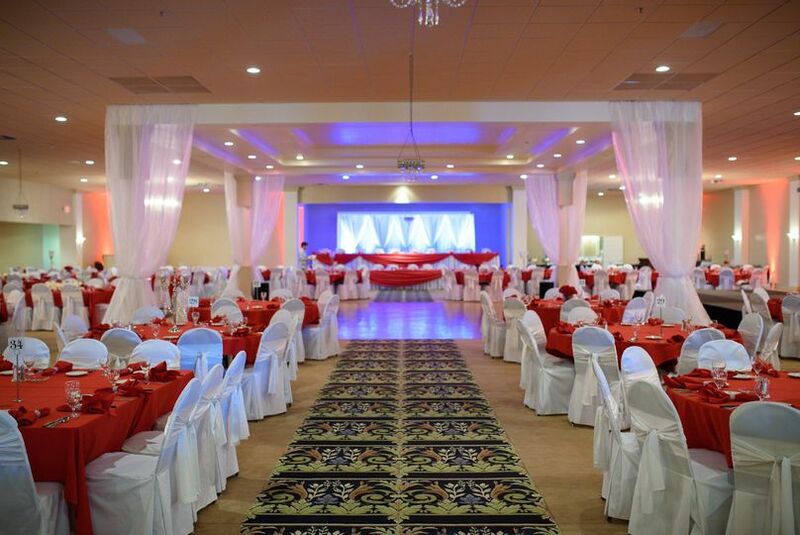 Their main ballroom is a wonderful option for large gatherings while the Mt. Vernon Room is perfect for smaller get togethers. 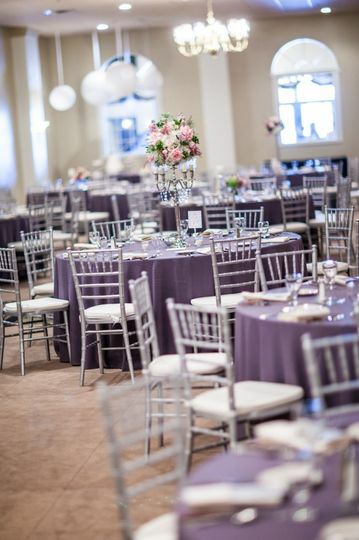 Both venues are a virtually blank space for couples to decorate and personalize to reflect their vision. 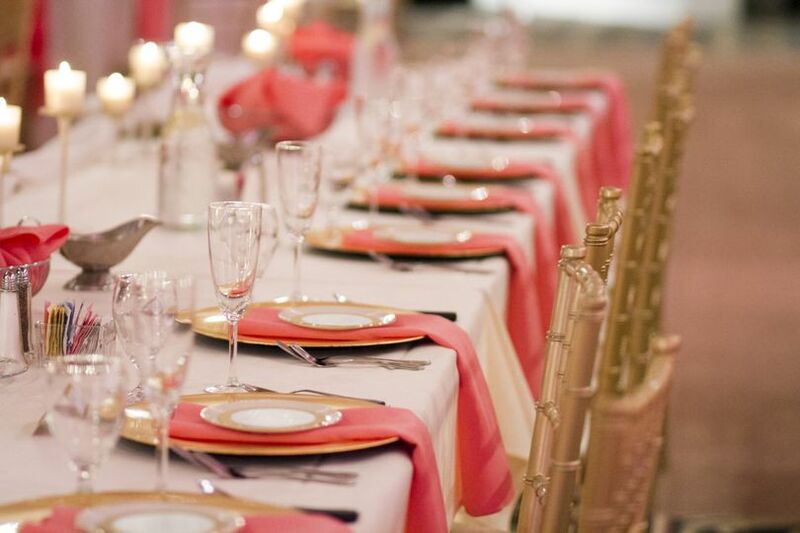 Parkway Place will provide catering for your wedding events. 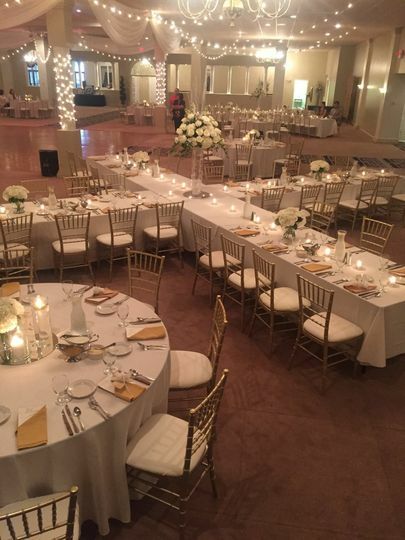 They offer a many different serving styles, including buffet, plated, stations, hors d’oeuvres, and family style, as well as dessert and cocktail reception services. Their talented, experienced culinary chefs will create delicious dishes with fresh ingredients for your events. Couples may have a cake made for them or may bring in their own outside cake. Parkway Place will provide couples with servers and will also allow couples to attend tastings to preview and select menu items. Parkway was a true dream come true! I had my December wedding here in the mount Vernon room! From my initial commutation with Elizabeth and my final details with my coordinator Katie, everything went smooth. Elizabeth went out her way to ensure I had everything I needed, she went above and beyond to make my wedding day special! Once I meet Katie to go over my day of coordination she was just as great, very supportive and always offering ideas and advice. I got so many compliments on how beautiful everything turned out. The food was amazing, we chose the beef brisket and air fry chicken, we received many compliments on how wonderful food was. Staff was friendly, bar was great! Also we used in-house cake decorator Paula and she was theeee best! My cake was exactly what I wanted and the flavor was phenomenal! I could go on and on about the services Parkway provided, if your looking for a venue Parkway is the way to go! Our reception was awesome!!! The staff was excellent to work with and very knowledgeable. Kuddos to Elizabeth and Cathy and the rest of the wait staff for making our night stress free and amazing! I was extremely happy with the outcome of our reception. While the outside doesn't look like much, the inside is beautiful. Also everyone there is extremely helpful and willing to help you figure out everything you need to make your day perfect. Rachael is amazing g and set up all the centerpieces for me. Also the food is amazing and the bartenders were extremely professional and funny. I would recommend this reception site! Parkway Place is a beautiful venue that I have had the pleasure of decorating on many occasions. 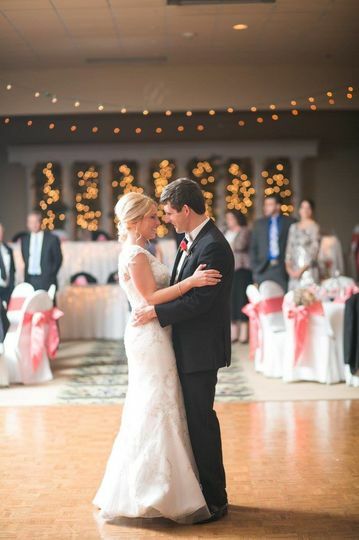 Elizabeth and her staff do an amazing job of making sure your special day runs smoothly. The venue staff and kitchen do a great job of presenting elegant and delicious food for your occasion. 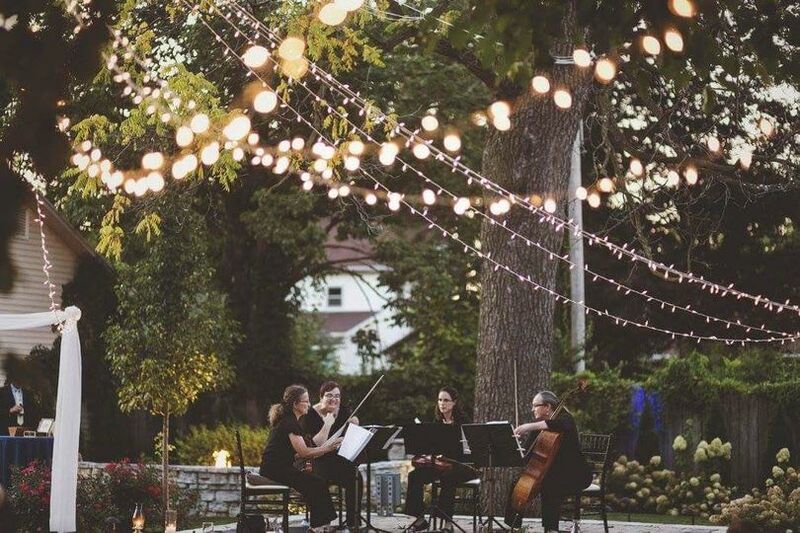 Consider Parkway Place as a beautiful and well operated venue for your next event.